From our extensive range of indoor LED lighting products. 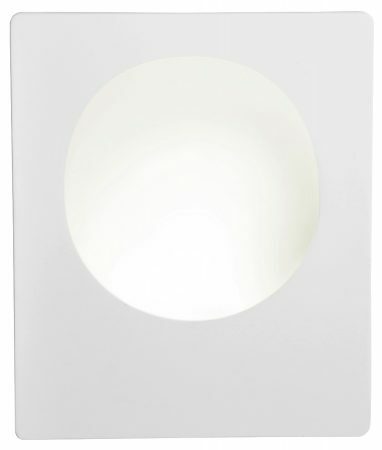 A 210mm wide x 250mm high white gypsum LED wall light, with a central circular shaped recess and concealed LED lamp that shines into the concave. This light fitting is paintable to the colour of you liking and can be mounted in either an up or down direction, allowing you to get creative with your lighting designs and is supplied with a 1w LED money saving lamp. Please note, this fitting requires a minimum 78mm wall recess for correct installation.